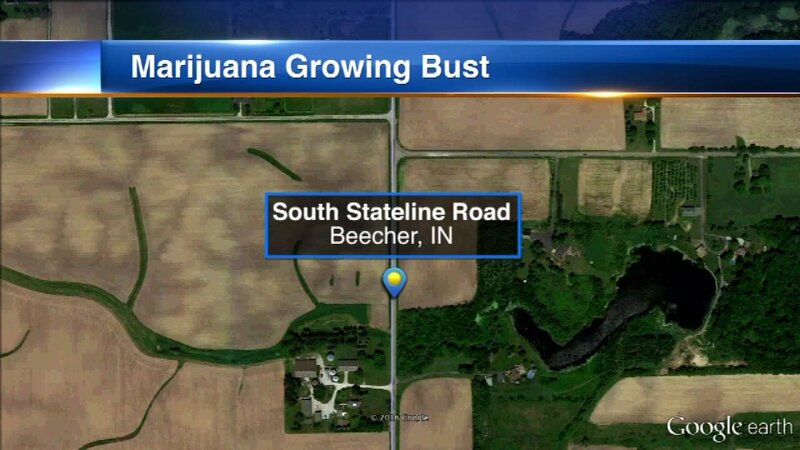 BEECHER, Ill. (WLS) -- More than 800 marijuana plants were found this week in a wooded area in south suburban Beecher, according to the Will County officials. A tip via the Indiana State Police led authorities to the 812 plants in a wooded 5,742-square foot area near South Stateline Road in the rural community. The Will County Cooperative Police Assistance Team found the plants on Thursday. Investigators also found harvesting equipment.